I always feel a bit bad, when I promise to review a book and I didn't like the book. I will be honest, though. This book was not for me. I do believe this book is more appropriate for maybe young teens (age 14-15). There were too many parts of this book that I didn't like, even though the writing wasn't that bad! The writing: The writing in this book was good! It's also the only reason I decided to finish the book. It wasn't hard to finish it for me. The writing is fluently and you can just glide through this book. Little jokes are slided into this story, and the thoughts the main character has were pretty unique. The POV: The POV in this book is kinda weird for me. It's actually written from the point of view of Selina, this girl. But you also read the story from the POV of the other characters, but then third person. The POV from Selina isn't really adding something to the story for me, since you read the story from the other characters POV as well. The mix-up between first person and third person wasn't that great for me. Awkward main character: My gash. Selina is a very awkward main character. Sometimes it's cute and makes you feel for the main character, but this was outright cringy for me. It's too obvious that she is awkward and she keeps repeating that she is awkward as well. Repetitions: The book kept repeating the facts that were already given. It felt like the author didn't want you to forget certain parts and facts and that's why they were slipped into the story again, but after the fourth time something is repeated, I'm kinda done with it. What do you want? Selina doesn't really know what she wants and it's annoying. What do you want girl? Wanna go home? Wanna go with a certain boy? Wanna go to another planet and fight? Wanna make out with this guy, or that guy? You're absolutely not in love with this certain boy, but oh hey, now you are! She's contradicting everything she has said before and it makes her unreliable. I'm not here to totally burn down a story and definitely not to make sure no one reads this book. I believe this story is more for younger readers, but it definitely wasn't a book for me. 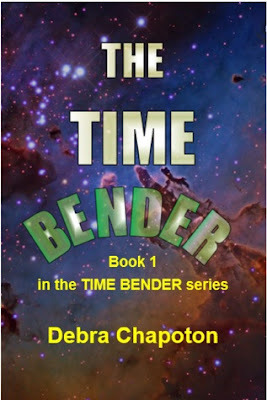 I think Debra Chapoton is a good writer, the story was written pretty good, I just had trouble with the main character, which made me dislike other parts of the story as well. I do encourage others to pick up this book, I think it's a nice first for a series with a unique worldbuilding. Sadly, I won't continue reading this series. Did you ever read a book that you didn't like, but probably would have when you were younger? !